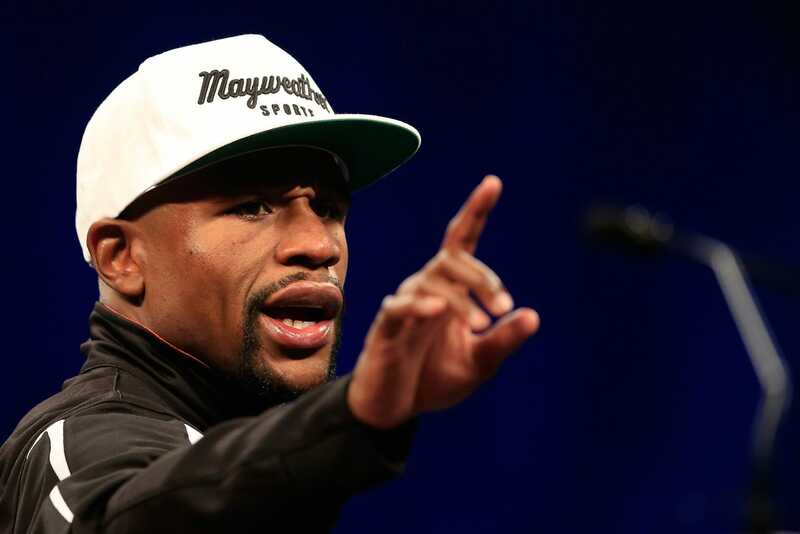 Floyd Mayweather has been slapped with an ultimatum regarding a fight with Khabib Nurmagomedov. Mayweather told TMZ Sports earlier in the month that he is “absolutely” fighting Nurmagomedov. Nurmagomedov, meanwhile, has held meetings in Russia with a view of staging a boxing superfight at a massive stadium in Moscow. But UFC boss Dana White has said that any fight would have to be in the UFC, using mixed martial arts rules. This is something that neither Nurmagomedov or Mayweather have said they want. Floyd Mayweather has been issued a stark ultimatum in the Khabib Nurmagomedov fight negotiations, and it is one he would never accept. The unbeaten boxer retired from the fight game after his 10th round stoppage win over UFC striker Conor McGregor in a landmark boxing rules bout last year. McGregor returned at UFC 229 on October 6 but was dominated by Nurmagomedov, dropped by a thudding right hand in round two, and submitted for good in the fourth. That victory propelled Nurmagomedov, who has called himself “the Mayweather of MMA,” into the limelight and a crossover fight with Mayweather has frequently been discussed in the media. Nurmagomedov’s statement followed Mayweather telling TMZ that he could make the fight happen providing the bout was fought using boxing rules. The American, who would come out of retirement for the fight, then said he was his own boss and could not comment on what was going on on “Khabib’s end” because Nurmagomedov is contracted to the UFC. Now, the UFC has spoken – and it has delivered an ultimatum that neither fighter wants. 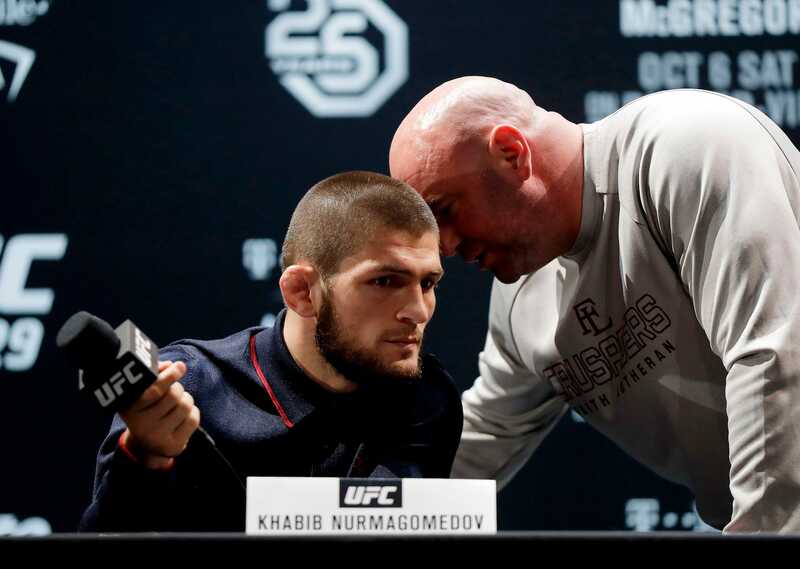 Photo by Isaac Brekken/Getty ImagesKhabib Nurmagomedov and Dana White. “Listen, if Mayweather wants to fight, come fight,” UFC boss Dana White said to TMZ Sports, inviting Mayweather to the negotiating table on his terms. However, White stressed that a fight with his athlete Nurmagomedov can only be agreed if Mayweather is willing to compete in a UFC octagon, using mixed martial arts rules. This is something Mayweather has never done before, having made his name as an amateur boxer with a bronze medal from the 1996 Olympic Games before winning world championship titles in five weight classes as a pro. Mayweather has teased a fight in the UFC before. In January, Mayweather posted a viral video clip to social media that showed him stepping into a UFC-style octagon in a combat sports club. He even said he was in “billion dollar” talks to return to the fight game. “We don’t know if it’s in a boxing ring or in an octagon,” he said in February. However, despite the amount of money said to be on offer, Mayweather never signed and never showed real intention of competing in an octagon. He has already said he is willing to fight Nurmagomedov, but only in a boxing ring – something the UFC has seemingly ignored.